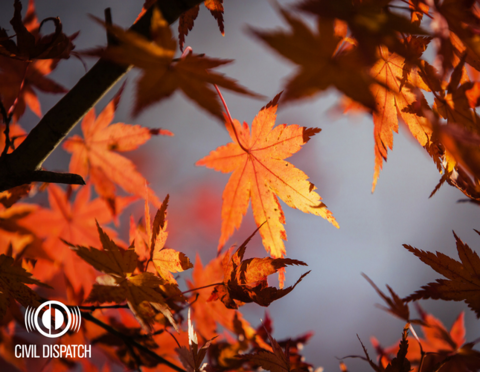 Since the first day of fall has passed, it might be time to start preparing your home for the cooler fall weather and the changing leaves that come along with it. Clogged gutters can lead to damage exteriors and can also lead to water in the basement and make them more prone to rust and erosion. Before the leaves start falling, clean your gutters and it would be a good idea to cover it with mesh to keep from debris from returning. Gaps in your caulking and and weather stripping can increase your heating bill by 10%. Weather stripping is the most cost effective way to keep your heating and air bills. You can easily check to see if your weather stripping is in good shape by closing the door on a piece of paper. If your paper slides easily then your weather stripping isn’t doing its job. There is nothing more stressful to a homeowner than a leaky roof. Stop the problem before it occurs and before the winter ice and winds hit. Have your roof inspected by a professional before the fall and winter months hit. You should have your heating system at least once a year by a professional. To avoid the rush, get on the schedule while you can for early fall. Any unusual screeches or whines may be a signal that your belts are worn or damaged. Even if you use your fireplace regularly, you should still check it for damages. Look for blockages and have your entire chimney system checked by a chimney sweep. Inspect your chimney for any broken or loose bricks or joints. If you can’t access your chimney easily then use binoculars. With colder months comes colder, dryer air and bone dry air is not good for your health. You and everyone in your home will feel much better if you keep your humidifier in tip top shape during the first couple months that you have it running. Make sure you are replacing the batteries in your smoke detector and carbon monoxide detector. Test your detectors by pressing the test button or holding a smoke source next to the detector. If you haven’t already, install a smoke detector on every floor of the house including the basement. If you don’t already, sign up to receive text messages from Civil Dispatch to get updates on severe weather in your area.